At the end of the 2016 motorsport season, BMW celebrated in Munich not only the successes of the last months, but also looked into the future. 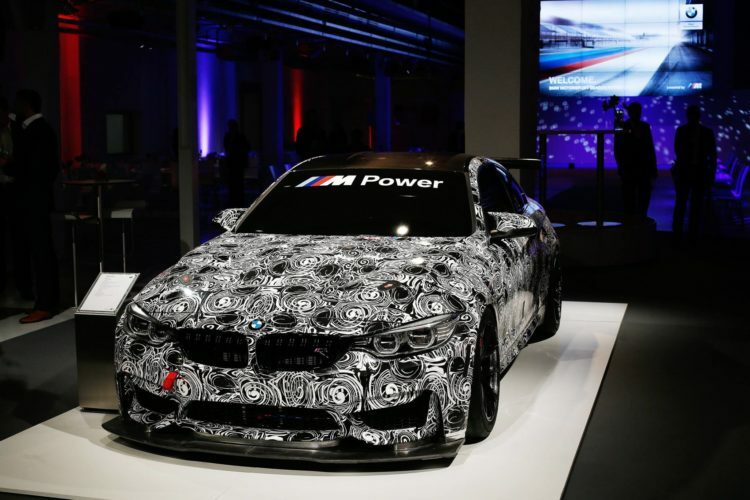 With the typical camouflage of a prototype, the BMW M4 GT4 was presented for the first time, before it will make its racing debut in the 2018 season. In the coming year, the prototype will complete numerous test drives and be trimmed by the experienced developers of the BMW Motorsport department for maximum performance with optimum driveability. In addition to this preparation, the BMW M4 GT4 will have to compete for many hours under realistic and tough conditions. The start of the 24-hour race in Dubai is already taking place in January, but the new GT4 racing car will not compete in this early phase of the development. Some parts of the BMW M4 GT4 are taken directly from the road sportsman M4 GTS, including the carbon bonnet with its additional air outlets. The front splinters and the adjustable tailgate of the M4 GT4 are also visually similar, but technically free of the constraints of a road vehicle. 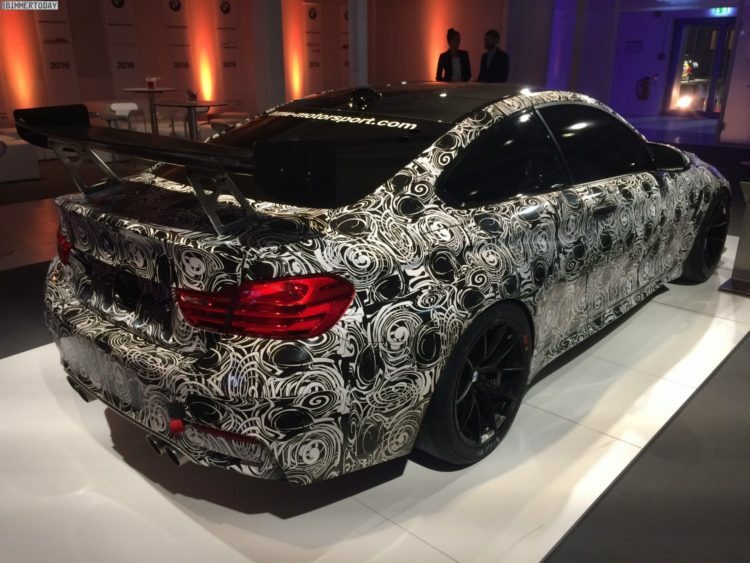 The doors of the coupe are made of carbon fiber, just like the bonnet and roof, to further reduce the weight.